And when we say Happy New Year we really mean it and hope to be able to deliver . We can contribute to your Happiness with our Wellbeing Workshops, which we are refreshing for 2019. So if you are looking to improve your happiness do book us to deliver a variety of workshops on Happiness - see options below. These can be talks, conferences, team building, wellbeing at work contributions, as well as training opportunities. We deliver to all kinds of organisations and workplaces - including from January 2019 the WI (Women's Institute). We are in their Speakers book and have several bookings throughout the year around Berkshire/Surrey/Hampshire. We are also delivering a wonderful 2 day Happiness Course to Maidenhead Recovery College - we are very excited to be delivering this for the first time to them. Contact us to tailor make a great workshop for you and your organisation. Our feedback continues to be excellent - there is a first for everything, but we have had the accolade of "Legend" given to us recently for our training style. We have always said that we love delivering this training - and it clearly shows with the evaluations from our delegates. Unlock Your Wellbeing are delighted to announce that we will be working in association with Cordell Health in 2019. We will be delivering regular Mental Health First Aid training with them - they have a spacious Training Room in Finchampstead, Wokingham. Cordell Health are providers of Occupational Health services, and we are pleased to be working with them to expand their offering in the areas of mental health and wellbeing. This will allow Unlock Your Wellbeing to offer Open MHFA training regularly throughout the year, both the 2 Day and the workplace 1 Day courses. Our first 2 Day MHFA training will be on 12th & 13th March. You can book this directly with Cordell Health by emailing Keri - Keri@cordellhealth.co.uk. The great thing about these open courses is that you can book as few as one person - so smaller organisations or those which cannot have too many people off at the same time can get the benefit of this really excellent training course, which can support workplaces (and other places) with their Wellbeing Policies. Having completed the training you will be in a far more informed position to work out what your workplace would benefit from. As Cordell Health and Unlock Your Wellbeing are both Social Enterprises we continue to provide this exceptional training at an accessible price - only £210+ VAT per person, for 2 full days of training, including lunch and refreshments. We will be developing further training in the New Year - so watch this space for further exciting news. More Exciting News - Laughter Yoga! We have recently completed training to teach Laughter Yoga ( - yes it WAS as much fun as it sounds!) 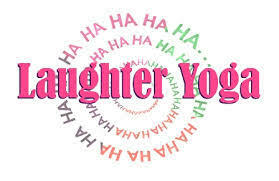 and are making plans for a Laughter Yoga Club - around Wokingham. We are looking for a venue right now. Our plan is to hold the club monthly on a Sunday as a wonderful hour in your weekend to be sociable and LAUGH - it is sooooooo good for us, and we can get real health benefits from laughing more. Interested? - email us to express an interest and we will let you know when we have a venue. WIWAG will be meeting in Wokingham Library on January 14th at 1pm. If you are interested in mental health matters in Wokingham and would like to join us in our aims to improve the emotional wellbeing and mental health of Wokingham Borough do come and join us. And please "Like" our Facebook page to keep up with our news. We were chosen by Waitrose in Wokingham for their green token scheme so hopefully we will get a much needed boost to our finances to enable us to get around the Borough and host a variety of events. ***** STOP PRESS - we found out today that we will be awarded £280 from Waitrose - thank you so much to everyone who voted with their green tokens, we really appreciate it. An article popped into my LinkedIn feed which has resonated with me. It was by Melinda Bates (co chair of Bill & Melinda Bates Foundation) and talks about having a "word for the year" which she has done for the last few years. Last year her word was "GRACE", and so helpful has the word turned out to be for her - helping her in many cases of overwhelm and heartbreak - that she is using it again. You can read her article here - see what you think. This has got me thinking about grace, a state of grace, and what we mean by it. To me it is a time that is often painful, that is special, rare, and the normal expectations do not apply. It is a time of opportunity, when what you choose to do next is going to be important, something beautiful can emerge. It is almost a "hold your breath" time It does have many religious interpretations, but that isn't what is meant here. It can be painful in its poignancy, the white heat of something deeply meaningful. Melinda uses a beautiful phrase - "A broken heart gives me urgency. A moment of grace gives me hope." I am going to steal this idea and see how it serves me this year - and will be starting by using her word. Grace. If you or anyone you know is affected by depression or anxiety, you may be pleased to know that there is a support group in Wokingham. The next meeting will be February 6th, 7pm. No need to book - just come along, you will be very welcome. New Year's Resolutions - love 'em or hate 'em? Here is not so much a Resolution as things to think about changing to make life better for you. Do any jump out at you? Hope to see you at some of our events in January - more in February!